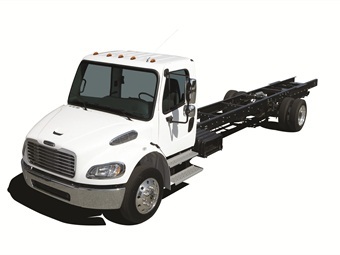 Daimler Trucks North America (DTNA) announced the investment of $22.7 million in Freightliner Custom Chassis Corp (FCCC) to expand facilities and improve operations in Gaffney, S.C. The investment will positively impact a number of key business operations for FCCC, including the construction of a new logistics center, as well as expansions of the current office building, employee parking lot, completed chassis parking, and loading/delivery operations. In addition, the investment will drive implementation of a new line side delivery process which will utilize nearly 60% more component kitting. In addition to the logistical and process improvements, the investment will provide an expansion to the current office building, which will provide a 25% increase in personal work stations, increase the training room capacity from 25 to 100, double the amount of available team work space and increase the cafeteria capacity from 15 to 119.